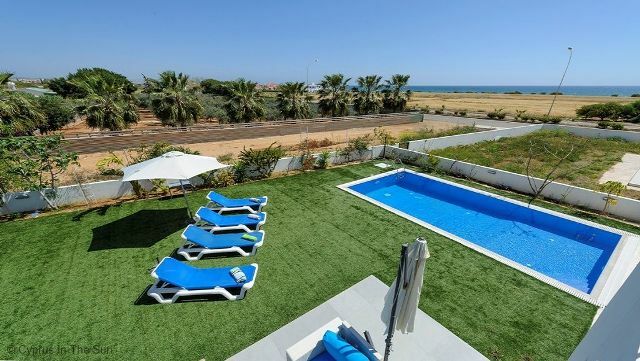 The Villa Olympia is a gorgeous 3 bedroom villa with a large garden, giving plenty of room for relaxing outdoor days around the pool and sunbathing. Families will also enjoy the space for children to play outside. The villa has 3 bedrooms and is air conditioned throughout. There is also wifi and satellite TV. 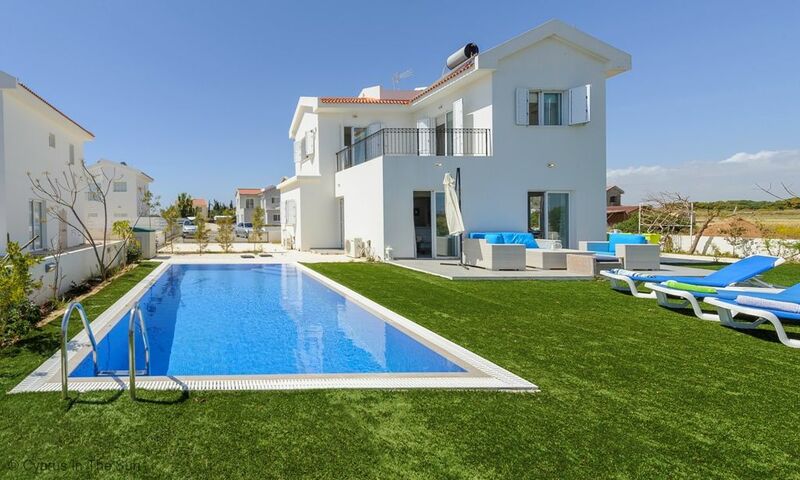 The Villa Olympia is located in the popular Ayia Thekla area of Ayia Napa and benefits from tranquil countryside views. 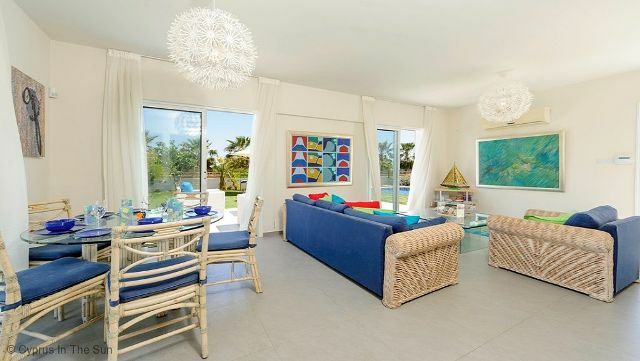 The seafront is around 5 minutes walk away and the popular beaches of Nissi, Landa and Macronissos are less than a 5 minute driver from the villa.